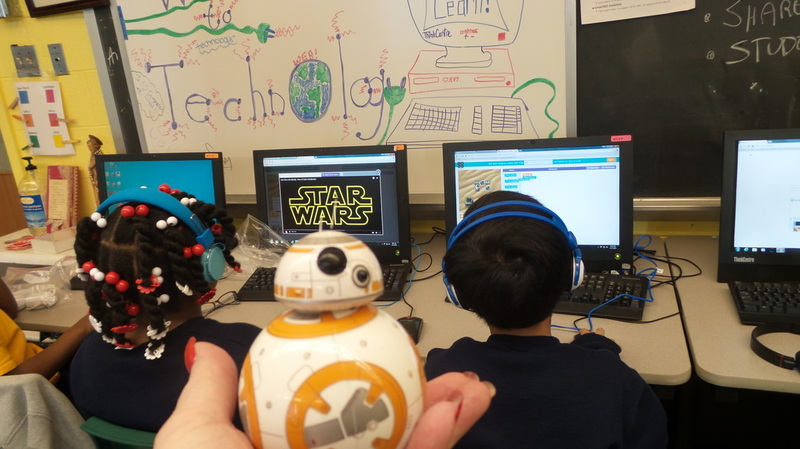 Saint Ann Students Participate in "Hour of Code"
​BB8 will be celebrating with us this week! He will be driving around school to see you! Keep your eyes open and be ready to take the controls! ***IF you have NOT already done it don't forget to put in the code in I gave you after you login. Please see Google Classroom for Codes! -Must LOGIN to Brainpop First! First Programmer was a woman! See how many Lines of Code!! Computer Science Weekly- Hour of Code Page with Highlights, Week of Code Updates and more resources.